Baby food. That was the beginning. Sure, I’d always baked and been predisposed to loving life in the kitchen. But as each adult year passed, my adventurous side urged me to keep trying the next new, REAL food recipe. I educated myself along the way realizing how much healthier homemade really is. If homemade sounds hard to you, I want you to know ‘THIS’ (I say referencing myself all covered in whole grain flours with food processor and stand mixer cluttering my countertops) didn’t happen overnight. No offense if you fill your pantry with low fat/fat free cans of creamy soup or gravitate towards store bought snacks. Remember, when you’re on Happily Whole, you’ve entered the ‘no-judgment-zone’ of all things wellness. I only intend to make the point that we all start someplace! Define YOUR STARTING PLACE first. So many women I’ve worked with go about their business allowing every magazine article, internet image and social circle to define their personal eating expectations. Stop that! Look at and IN yourself to determine where you are and why. Are you eating intentionally? Do you know why you choose to eat and feed your family what you do? Perhaps you prefer store-bought snacks. So, let’s see how we can spruce them up nutritionally by reading labels, reducing sugar grams or buying exclusively whole grain. Maybe you’re ready to start baking from scratch…you’re in the right place for that, by the way. Or maybe exploration suites your fancy for today, just perusing around some different healthy philosophies or websites before you decide to set off on a good fit for you. Once you are ready…put on your real-food heroine suit! Wherever you are right now is just right for you. I promise, little by little, you will embark on new eating adventures, especially as you experience how much better you feel. 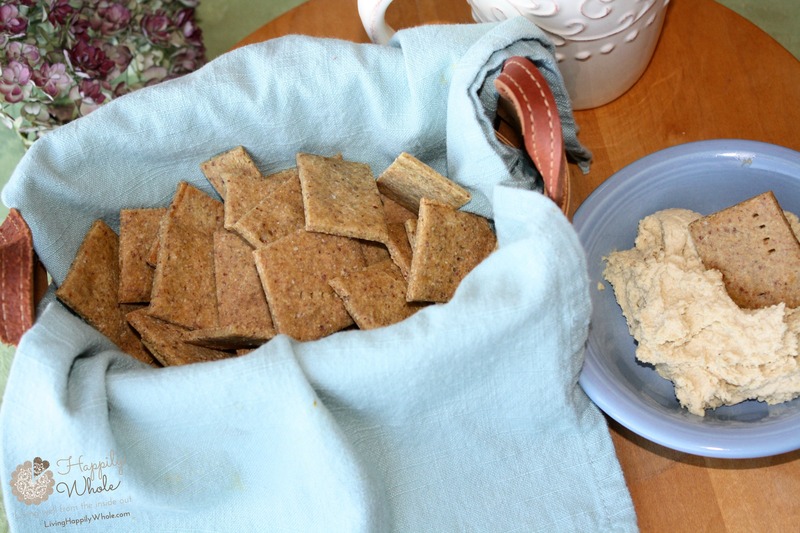 If you happen to want to jump right in with homemade crackers, this is a GRRRREAT place to start because the dough mixes right up and rolls out nicely (not true of all cracker recipes). We LOVE these alone or with hummus. Check ‘em out! 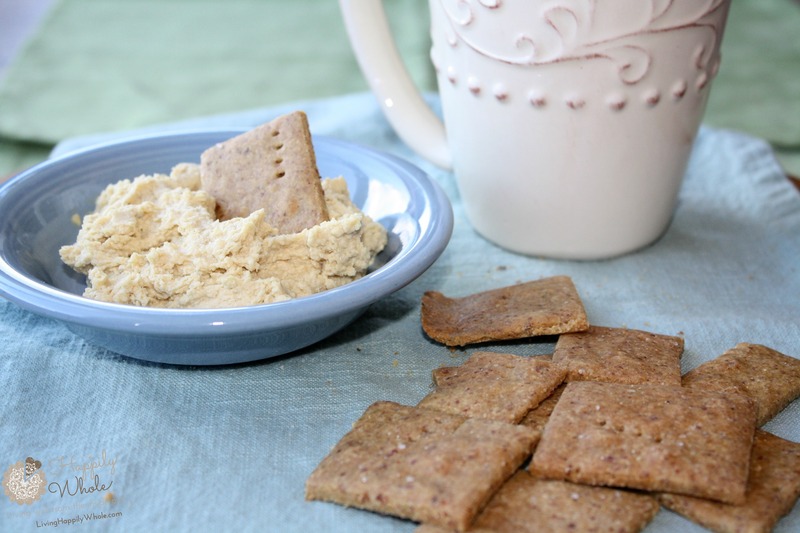 I've tried several cracker recipes and this is my favorite to date. It happens to be multigrain AND gluten free. The quinoa flour raises the protein and the brown rice softens the flavor a bit. We eat these alone, with hummus or even dipped into a hearty soup. 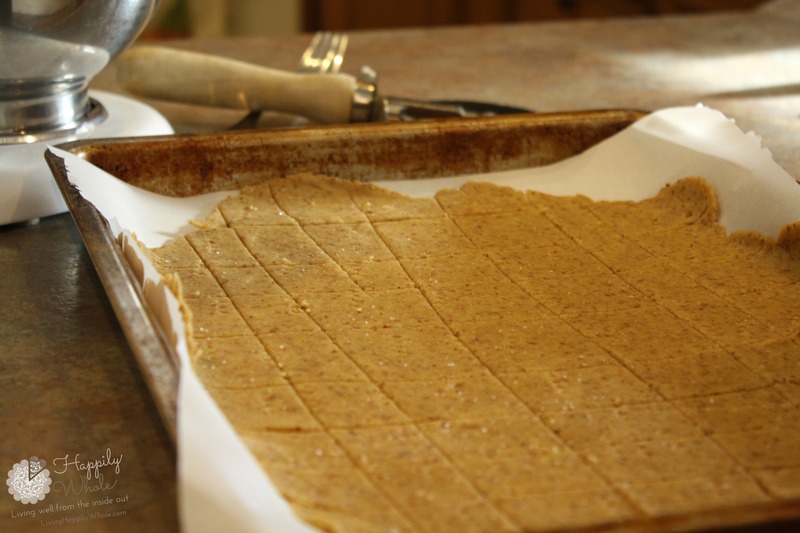 Preheat oven to 350 and prepare two baking sheets with parchment paper. In a seperate bowl, mix the remaining five ingredients. Using a sturdy stand mixer (or a wooden spoon and muscle like they did in the olden days! ), mix together wet and dry ingredients until a slightly sticky dough forms. You'll be pressing the dough flat into a thin layer, so if it seems dry or it falls apart easily, add a tablespoon of warm water at a time until the dough is moist and pliable but not overly wet. Using lightly oiled hands flatten and spread half the dough on the prepared baking sheet or on a mat used for rolling dough. Make as thin a layer as possible. Use the edge of a rubber spatula to help smooth and straighten outside edges. The thinner the cracker is, the crisper it will be. Prick the dough with a fork every two inches or so and score the flattened dough into cracker sized squares or rectangles (I like to use pizza cutter to do this but my girls love using cookie cutters and we usually end up with either very entertaining or messy looking 'crackers'!). 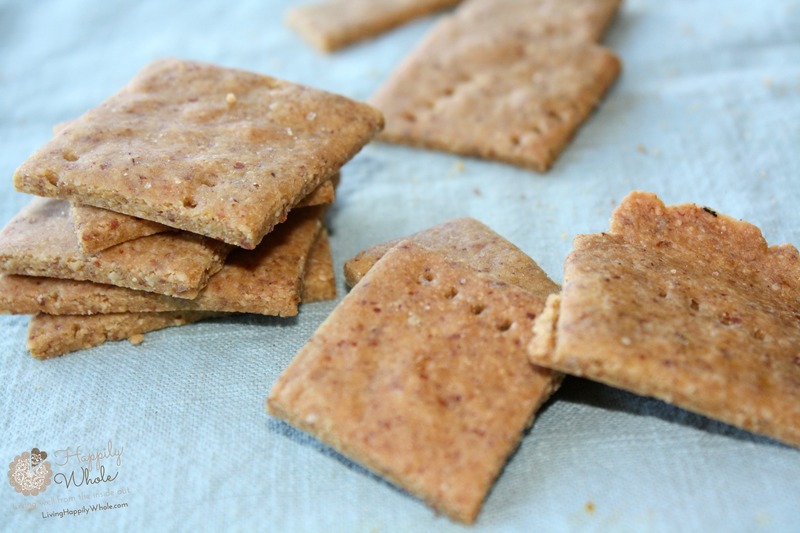 If necessary, transfer crackers to baking sheet and sprinkle the top with sea salt. Remove from the oven and allow the crackers to cool on a rack. Store in an air-tight container when cool, if eating the same day. To store longer, I like to freeze all my baked goodies and thaw before serving. *While I have purchased quinoa flour, I'm the first to admit the stuff is pricey! So, most often I toss some uncooked white quinoa into my Ninja single cup or food processor and press play just until the quinoa turns into a powdery flour. It works perfectly! **Here's more information on Nutritional Yeast. I love the stuff for it's B vitamins and somewhat cheesey flavor. I use it in recipes, on roasted veggies and pan-popped popcorn. ***In a small bowl, mix 1 tablespoon with 2 tablespoons warm water and let sit for a few minutes before using in the recipe.